Possibly more than any other sport, there is a unique culture that surrounds hockey. It’s a tightly knit group that is as dedicated to their sport as any in the world. As a result of this relationship, a unique corresponding ‘hockey slang’ has developed among players to describe hockey-specific things or events. If you’re not a member of the community, you would be clueless as to what hockey players are talking about when they use some of their off the wall terms. 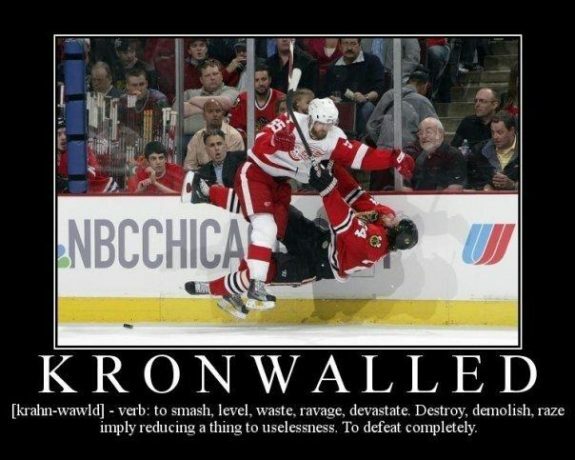 Below you will find the common terms of hockey player lingo. Bar Down/Bar Mexico: a type of shot that hits the bottom of the crossbar and shoots right down into the net. All beauties (see below) attempt to go bar down whenever possible, as it is seen as a very impressive shot. Just listen to the sound as the puck hits the bar and goes in below. Barn Burner: used to describe a game that is high scoring, fast paced, and exciting to watch. Beauty/Beautician: a player on the team that’s talented both on the ice and off and loved by the rest of the team. Typically has great flow, great hands, can wheel ladies off the ice (see below), and always has some good locker room stories. Bender: a player who is awful at hockey, and whose ankles bend inwards because his skates don’t fit right, he didn’t tie them right, or he just can’t skate. Breadbasket: term that describes the goalie’s chest. Typically used when describing that you put a shot right in the goalie’s logo. Celly: a celebration after a goal is scored. Depending on the score, stakes, and opponent, varying levels of cellying is acceptable. Chel: the EA Sports NHL video game series. 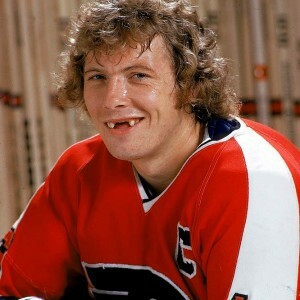 Chiclets: teeth, usually used when describing the lack thereof for certain players. Chirp: trash talk, directed toward an opponent, their bench or the refs. Clapper: a slapshot, in reference to someone with a powerful slapshot or a slapshot that results in a goal. Coast to Coast: a goal scored when a player starts the play near his own net. Dinger: a pinch of chewing tobacco that players enjoy in the locker room before and after the game. Duster/Dusty: may or may not also be a bender, but is definitely very bad at hockey, gets very little ice time, and when he does get out on the ice it’s at the end of the game when the score is out of hand. Dusts it Off: when a defenceman quickly stickhandles the puck then dishes it off to a teamate. Facewash: When a player sticks his gloves, palms first, into an opponents face just to annoy him. Fishbowl: a helmet with a full plastic shield instead of a cage. Typically used as an insult in trash talk. Opinions vary widely on fishbowls, but if you wear one you’re likely one of the best players on the ice, or the worst. 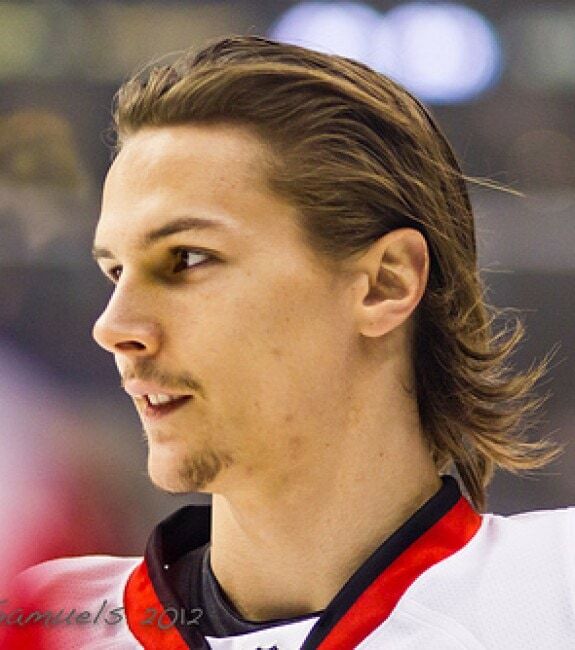 Flow : great hockey hair, typically long that flows out of the helmet when the player skates. For the Boys/FTB: used to describe any actions that the rest of the team enjoys or when a player makes a sacrifice for the team. Gino: a goal (that is scored, not the net). Gongshow: has multiple meanings: 1. used to describe the craziness that ensues when hockey players drink/party/go to the bar. 2. a game that gets completely out of hand with multiple fights, lots of penalties, and lots goals. Grinder: a player that populates the lower lines or lower pairings. Has hands of stone, but is physical and works hard when he’s out on the ice. Usually beloved by the rest of the team. 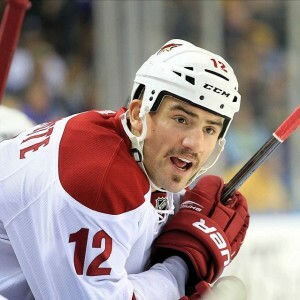 See: Paul Bissonnette. Grocery Stick: a player that sits on the bench the whole game between the forwards and defense, acting like a separator like the checkout line at the store. Also a duster, and maybe a bender. Hoser: another name for a loser, typically intended as an insult in trash talk. Comes from the early hockey days when the losing team had to hose down the ice with water after the game because the Zamboni had not been invented yet. Lettuce: a great head of hockey hair. See also: flow, salad. Light the Lamp: to score a goal, in reference to the red light that goes on behind the net. Lip Sweater: mustache, typically grown out during the month of November for the “Movember” cause to support male health issues. Lumber: a hockey stick, named when sticks used to be made of wood. Mitts: refers to a player’s hands, often described as silky when a player has great skill. Also refers to a player’s gloves, as in “dropping the mitts” in a fight. Muzzy: mustache. See also: lip sweater. Packing a bomb: throwing in a lip of chewing tobacco in the locker room. See also: dinger. Plumber: similar to a grinder, a player that loves to do the dirty work in the corners and go to the dirty areas. Not the most skilled player, but a hard worker. Puck Bunny: females that have an affinity for hockey players, and go out of their way to be with them. Their knowledge of the game can range from non-existent to extensive, but it doesn’t matter to a hockey player. 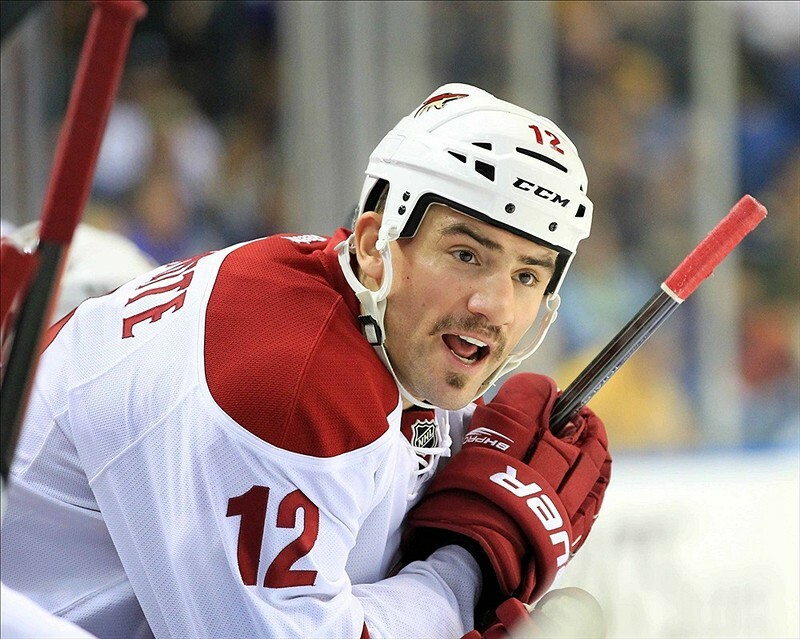 Pylon: a player that is extremely slow out on the ice, and can easily be skated around. Likely a big guy. See: Mike Rathje, Derian Hatcher. Ride the Pine: when a player spends the entire game sitting in the bench, and not getting any playing time. Usually reserved for benders and dusters. Rocket: a very good looking female, may or may not also be a Puck Bunny. Salad: beautiful hockey hair. See also: flow, lettuce. Sauce or Saucy: a well-executed saucer pass (a pass that goes in the air and hits back on the ice right before getting to the recipient) that sits flat on the receiving player’s tape. The Show: the NHL, used in the context of “making it to The Show”. Sieve: an awful goalie that has many holes to shoot through. Snipe: a powerful or well-placed shot that results in a pretty goal. Every bar down shot is a snipe, but not every snipe goes bar down. Top Cheese/Cheddar: used to describe a shot that goes in off or right below the crossbar. Turtle: when one of the players in a fight would rather not and just crouches or falls to his knees and covers himself. Twig: hockey stick, even though none are made from wood anymore. Wheeling: the act of picking up girls. To be a beauty (see above), you must be very good at being able to wheel girls. Where Mama Keeps the Peanut Butter: goal scored in the uppermost part of the net. Hockey player jargon is an ever-evolving language. Certain words will cease to be used, and new ones will become popular. But with this list as your basis, you’ll have at least have a simple understanding of hockey talk.